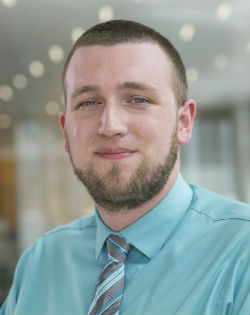 Dominick Stephenson is the Assistant Director, Research Development and Evaluation for North Carolina State University Industry Expansion Solutions. Dominick is responsible for managing evaluation functions throughout the project including client engagement, evaluation design, data collection, instrument design and report writing. His current work focuses on workforce development, community college and STEM programs and it crosses over local, state and federal agencies. Dominick is a graduate of East Carolina University with an M.A.Ed. in Adult Education and a B.S.B.A. in Management Information Systems.